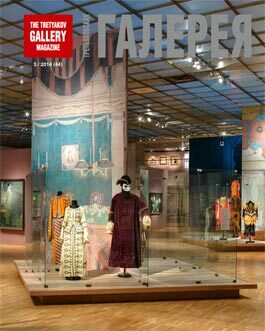 Marking the 175th anniversary of the birth of Ilya Repin (1844-1930), the Tretyakov Gallery is staging a major exhibition of the artist’s works on Krymsky Val. 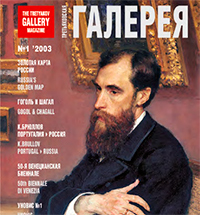 Running until August 2019, it brings together more than 170 paintings and 130 drawings from 27 Russian and foreign museums as well as a number of private collections, featuring both works for which Repin has always been famous and pieces that will be new to the general viewer, including some never shown at the Tretyakov before. 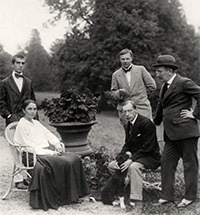 Presented chronologically, it follows the evolution of the artist’s career from his academic period through to his final compositions of the 1920s. 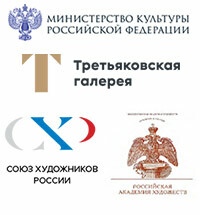 It gives particular prominence to Repin’s large-scale paintings “dedicated to Russia” - to the fate and fortunes of its prominent individuals, to the Russian people as an entity, and to the nation itself - that cover the period from the aftermath of the 1860s reforms through to the revolutions of the 20th century. 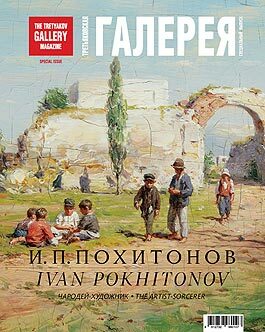 Ilya Repin has often been associated, for critics and art-lovers alike, with his pictures focused on the "burning” issues of his day, as well as known for his large-scale historical compositions and the extensive series of portraits that he painted of his contemporaries. 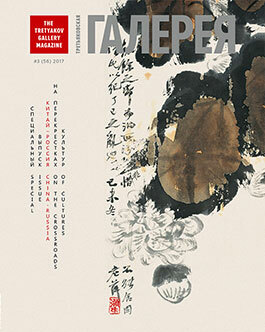 It seemed as if his life, so continuous in its artistic endeavour, could have no space left for other genres or topics. 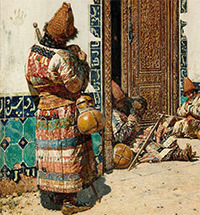 But recent scholarship has brought renewed attention to another facet of his work - his paintings on religious themes. Historically, Paris has proved irresistible to many of Russia’s greatest cultural figures - artists, writers and musicians alike. Vibrant and inspirational, simultaneously ancient and contemporary, it has always been a place of celebration, love and beauty. Ilya Repin visited Paris on various occasions in the last three decades of the 19 th century, leaving behind a fascinating record of the rich variety of experiences, both personal and artistic, that he found there. 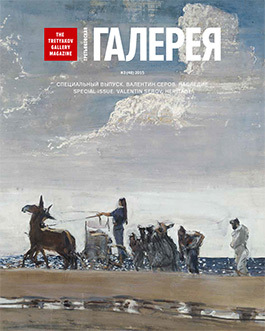 Ilya Repin was keenly sensitive to the reformist context of his time, and reflected the political nuances of Russian society in a number of his most important paintings, most significantly “They Did Not Expect Him”. Particularly revealing are those works associated with the “Narodnaya Volya”, or “People’s Will” organization, which was an integral part of the much wider sociopolitical “Narodnik” movement - from narod, “the people” - of the 1870s-1890s. 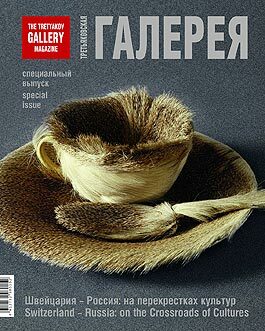 In 2008, the Alexander Radishchev Art Museum in Saratov acquired a graphite pencil drawing, on a small sheet of yellowed paper (19 x 13.5 cm), that was catalogued as “I. Repin (?). Portrait of a Man”. It depicts a middle-aged man in pince-nez sitting at a table; he is holding a pencil, or perhaps a quill, in his right hand, and resting his chin on his left hand. 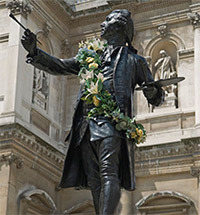 The man’s head is turned to the left ever so slightly - deep in thought, he does not look at the viewer; his hair is a little dishevelled, and he seems ready to get back to his work. 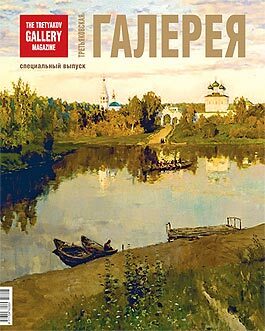 The artist’s signature and the date, “Ilya Repin. 90”, are in the lower right-hand corner, with “23 Apr.” inscribed below, in the centre of the sheet. 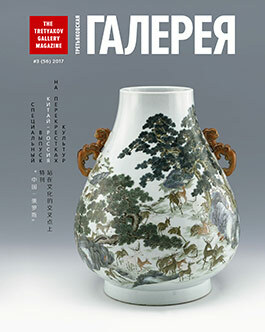 An attribution of such significance clearly required confirmation by specialists: this article follows attempts to establish the provenance of the work. 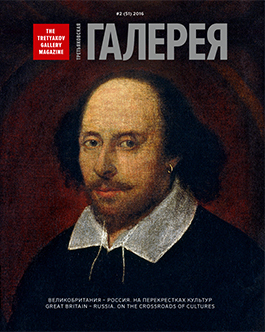 Born in 1877, Yury Repin was the third child, and only son of Ilya Repin and Vera Shevtsova. 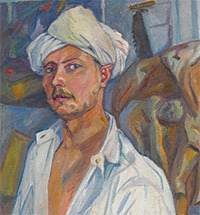 By the first decade of the 20th century he had emerged as an artist in his own right, earning acclaim for his historical paintings and lyrical landscapes, and particularly as a portraitist. As his career progressed, religious themes, especially drawn from the Gospels, gradually became dominant in his work. 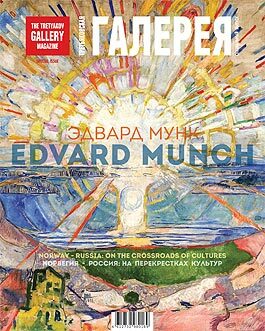 In 1909, he moved to Kuokkala, where he ran an art school; after the revolution, he remained in exile outside Russia, close company for his father until the latter’s death in 1930. 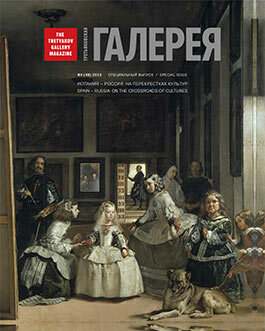 Yury Repin died in Finland in 1954: today, his work is little known, even in art history circles. The artist Michael Alexander Werboff (1896-1996) began his creative life as a student of Ilya Repin. After leaving Russia in the first wave of emigration, his career flourished, first in France, then later in America: he went on to paint portraits of many outstanding individuals from world culture, as well as prominent public figures, including kings and presidents. 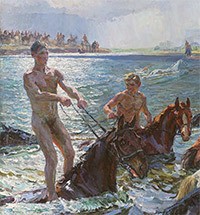 Even as he gained recognition in the West, Werboff remained true to the traditions of Russian realist art, in particular to Repin’s influence as his mentor and spiritual father.